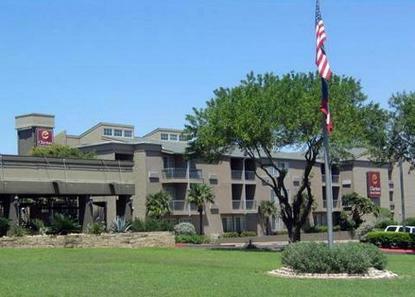 The Clarion Inn & Suites has an easily accessible location to IH 35 and is located 5 minutes from the capital, convention center, and 6th Street. The Clarion has a restaurant and bar and site. The property features a large outdoor pool and courtyard area with a hot tub. The rooms all feature microfridges, coffee makers, free internet, and wonderful new comfortable bedding. The hotel also offers a 24 hour fitness center and guest laundry facilities.